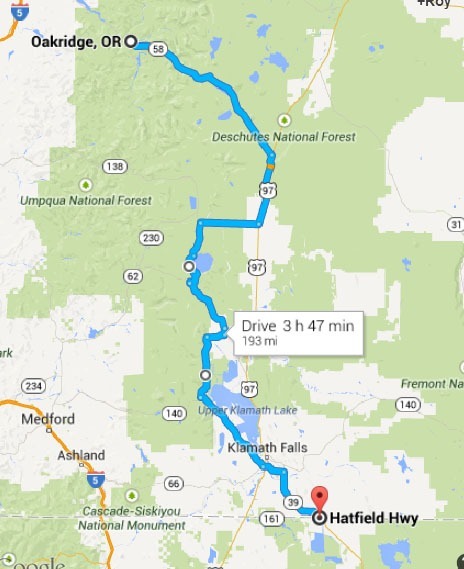 This first section in Oregon starts out in a flat plain that leads us into Klammath Falls, that is one of the larger towns that we have seen since lake Tahoe, then leads into Crater lake National Park, that is a nice introduction to the country ahead. The Oregon Cascades are a lower mountain rang that is punched through by dramatic volcanoes like Mt Thielson, just north of Crater lake and is continued all up the state. We then travel a little east, before going back over the Cascade range and end the section at Oak Ridge, a quint little mountains town and a nice place to stop and relax before moving on.